According to the Centers for Disease Control and Prevention (2016), children ages four years and younger have the highest rates of any age group of emergency department visits due to traumatic brain injury (TBI). It is important for early intervention practitioners to be aware of the risk factors, signs, and symptoms of TBI in very young children. The resources and information found on this page are intended to help practitioners learn more about supporting young children with TBI and their families. BIAV exists to be the primary source of information and personal support for thousands of individuals, families and professionals living in Virginia whose lives have been touched by a life-altering, often devastating injury. Resources include a toll-free assistance line (1-800-444-6443), public education, outreach, awareness and advocacy information. The Brain Injury Services Coordination (BISC) Unit, located within DARS' Community Based Services Division in the Richmond Central Office, serves as a point of contact for internal and external customers seeking general or agency-specific information about brain injury resources. Visit this site to learn about head injury, including the differences between concussion, contusion, and skull fracture. Information is also provided on causes, symptoms, diagnosis, treatment, and long-term considerations for children. In this document, shaken baby syndrome is discussed as a preventable public health problem. Information is provided about facts, symptoms, and consequences. Guidance is provided about how to build a prevention effort within an agency and community. Alexiou, G. A., Sfakianos, G., & Prodromou, N. (2011). Pediatric head trauma. (external website) Journal of Emergencies, Trauma, and Shock, 4(3), 403-408. In this article, the authors discuss the evaluation, neuroimaging and management of children with head trauma. Specific characteristics of each type of pediatric head injury are also presented. Ewing-Cobbs, L., Prasad, M. R., Kramer, L., Cox, C. S., Baumgartner, J. …Swank, P. (2006). Late intellectual and academic outcomes following traumatic brain injury sustained during early childhood. (external website) Journal of Neurosurgery, 105(4), 287-296. This article describes a study that investigated IQ and academic outcomes an average of 5.7 years after injury in children who sustained moderate to severe TBI prior to 6 years of age. Li, L., & Liu, J. (2013). The effect of pediatric traumatic brain injury on behavioral outcomes: A systematic review. (external website) Developmental Medicine & Child Neurology, 55(1), 37-45. The authors of this article discuss findings from a systematic review of the empirical literature on traumatic brain injury during childhood and subsequent behavioral problems. This module gives the family support professional an understanding of why babies are at risk for injury from shaking and describes the developmental factors for normal infant crying. The family support professional will be able to share information about the risk of abusive head trauma and strategies for teaching parents about prevention. They will also be able to help families recognize triggers and apply techniques for relieving frustration non-violently. This course provides a basic understanding of the effects of Shaken Baby Syndrome/Abusive Head Trauma (SBS/AHT) and how we think it can be prevented. This training is intended for parents and other caregivers, childcare workers, and students. This webinar features information about types of brain injuries, the incidence of brain injuries in very young children and the impact of those injuries on child development. Click the link above to visit the 2015-2016 Talks on Tuesdays Archive and scroll down until you find the webinar. 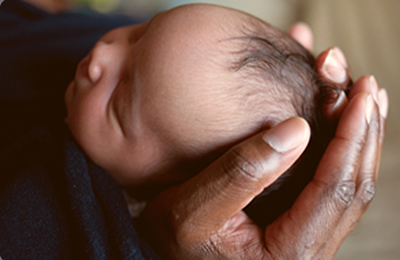 One program from the Children’s Miracle Network Hospitals, called Never Shake a Baby, teaches parents and caregivers how to cope with the stresses of having newborns in their homes. Monica, mother to Lyla, was gracious enough to share her story, reminding all of us of the importance of this vital message. This video was designed to inform parents and family members of the dangers of Shaken Baby Syndrome. Make sure that everyone who cares for your child knows the many serious and sometimes fatal injuries that can be caused when a child is violently shaken. Watch to learn more about TBI in kids. TBI is an injury caused by a blow, jolt, or penetrating object that disrupts normal functioning of the brain. Concussion and other types of TBI can seriously affect a child’s daily life. Brain injury can cause problems with speaking or understanding, movement or mobility, thinking or memory, and personality or mood. This site provides information about incidence, symptoms, recovery, as well as information about older children. This site provides a video and steps for parents about how to determine the right car seat to keep a child safe and prevent brain injury during vehicle accidents. The National Center on Shaken Baby Syndrome is committed to prevent shaken baby syndrome and promote the well-being of infants generally through the development and implementation of programs, policy and research; and to support and educate families, caregivers and professionals. Visit this site for information about shaken baby syndrome, prevention, and training resources. Visit this site for information about the definition of shaken baby syndrome, symptoms, causes, risk factors, complications, diagnosis, treatment, and prevention. Visit the CDC’s Injury Prevention and Control page on TBI for links to facts and statistics, information for parents, and information about risk factors, causes, signs, symptoms, and recovery from TBI.